Cars, vans and other kinds of vehicles require regular washing and cleaning of the upholstery to be in presentable condition. Your car’s upholstery needs even more cares to be kept healthy and functional. The best way to ensure the perfectly washed and clean condition of your car upholstery is by using the services of professional cleaning providers. Our company is located in Notting Hill and offers some of the most professional car upholstery cleaning services. Use them whenever you need deep sanitising or refreshing of the seats, headrests, mats and all upholstered areas in your vehicle. Our cleaning staff check the condition and fabric of the upholstery and choose the most suitable detergents and machines for it. They brush the crumbs, hairs, soiling and dirt from the seats and headrests and hoover them using a vacuum cleaner with brush attachment. Then, the cleaners spray the car upholstery and leave the solution to work as long as it is necessary. They hoover the moisture and grime afterwards and repeat the spraying and vacuum cleaning procedures a few time if it is needed. You can rely on our staff who work throughout W11 to take care of the well sanitised condition of your vehicle by providing effective car upholstery cleaning. 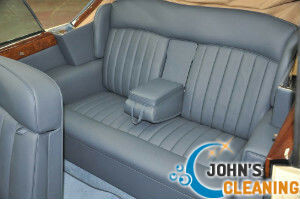 We apply hot water extraction on most car upholstery fabrics to ensure their deep washing and cleansing. It is done with advanced steam cleaning machines that use mild cleaning solution to sanitise the car seats and other upholstered areas. Our staff provide dry cleaning on all types of leather fabrics. They use microfibre cloth and suitable detergent. After wiping the fabric, our employees cover it with a sealant. You can use our services to receive professional car upholstery cleaning in Notting Hill, W11 and in the rest of London.